The internet is a resourceful tool enabling us to get connected to the world. As such the world has the same privilege as connecting to us. This is how we are prone to cyber threats and thefts. One can utilize what the internet has to offer us but the other way around, it might be used for selfish means as well and the same has been happening time and again. Through harmful malware hidden in emails and websites disguised as legitimate, sensitive information has been falling prey to the unauthentic sources. Identity theft, phishing, social engineering and many other sorts of cyber threats are creating a deep sense of insecurity with the personal information like credit card or bank details or other crucial information falling into the wrong hands. 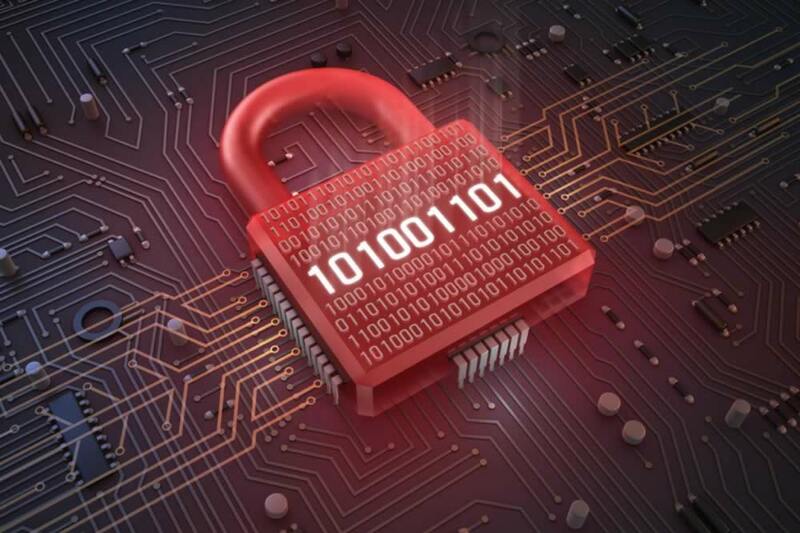 To be cautious enough, our networks and devices need to be well-protected. For those who could realize the importance of network security, safety is always by their side. Further, there are different ways a network may be insecure like due to virus, spam and many more for which a single solution might not be sufficient. Here is where a Unified Threat Management solution would suffice to all kinds of network insecurities coming up with multiple security options. A UTM is a single security solution for multiple security issues. With the help of a UTM appliance, the UTM provides a comprehensive security solution with anti-virus, anti-spam, anti- spyware, firewall network security , intrusion detection, content filtering etc. As the threats are not specific but vary, one security solution would not be enough for all sorts of cyber issues, so securing the network with UTM will ensure overall security. Threats are not uniform but come in blended forms to cause insecurity at different points of the network. There arises the need for different security appliances to deal with each and every security issue separately. A UTM solutions (Unified Threat management) extends overall security under one roof with its solutions for different kinds of network insecurities. With the single point security source UTM provides, it is easier to manage issues with varied threats. If your network is not yet secured with the UTM, it is time you found it necessarily important for a high network security. VRS Technologies in Dubai is a trustable destination for Unified Threat Management solutions that come in economical packages, which includes anti-spam, anti-virus, control filtering, email filtering, intrusion prevention and many more. Ever since its inception, internet has gained so much of importance and popularity which, evidently, will continue so long as the internet exists. As much good it can do in our day to day lives, it can be unsafe too. It is through the internet that unsafe things travel, finally causing insecurity to our computer networks. The world has witnessed many cases of cyber insecurity where hackers or intruders have taken unfair advantages of the limitless use one could make of the internet. Certainly, with harmful tools, they began to steal sensitive data, send virus or demand a huge sum of ransom by encrypting all the important files. None, be it an individual or a big or small sized business could afford to fall into such an unsafe zone. So the right decision would be to look for ways to have well-protected computers. There have come into existence security measures into the market with many security companies and providers coming up to offer. Anti-virus is the most common type of software intended to secure your computer from virus attacks. Anti-virus would not be enough but in addition a firewall network security should be installed to protect the overall network and beef up the security. An anti-virus is software that is intelligent enough to prevent, search for, detect and remove viruses and other malicious software from the computer, disallowing further spread-out of the virus aiming to harm the computer. Anti-virus detects and removes the virus which has already gained access. A firewall is a kind of network security which blocks the incoming and outgoing traffic. In most plain terms, a firewall network security system blocks malicious programs or websites from gaining access to the network but gives way to the right and authentic programs to pass through the network. This way, all the harmful programs, emails, websites can be barred from causing threats to the computer’s important files, data and programs. 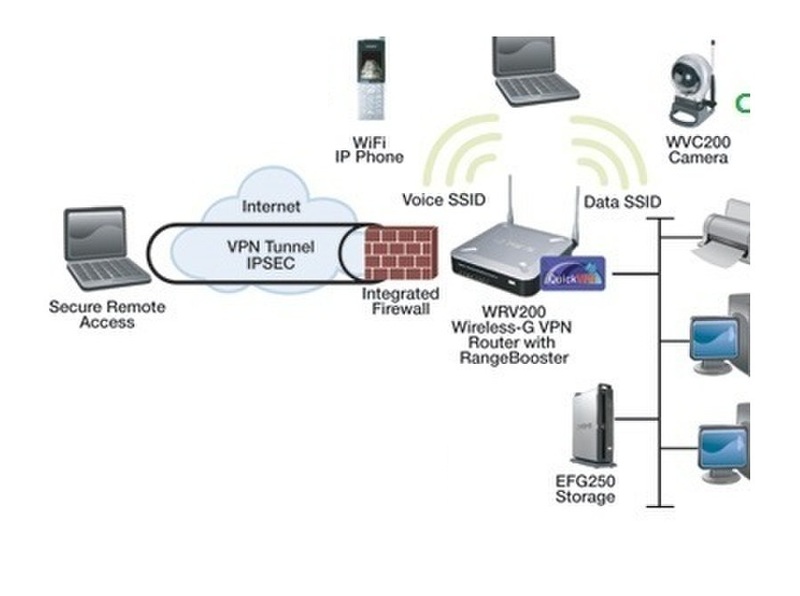 Just synonymous to how a firewall prevents fire from spreading out across a building; a network firewall prevents threats from entering your network and spreading it to the other computers. The loopholes in the security should not be incentives for insecurity in the network and so one should consider, why anti-virus is not enough. An anti-virus can handle the detection and removal of the virus, infecting the computers. As a noticeable fact, every day new sorts of virus are being crafted and it may take a while for the anti-virus company to update the anti-virus software program. Instead a firewall can strictly create a blockade for any kind of virus attempting to infiltrate your computer. With a firewall installed, the harmful dangers of network infiltration can be kept at a distance. Installation of both anti-virus software and the firewall network security is the ideal security measure. We, at VRS Technologies Dubai, offer Firewall network security to control security risks and let you have the choice of opting for different modules of subscription for the same. You can reach VRS Technologies on +971 55 1683152 for the firewall and other network security to protect your critical assets. 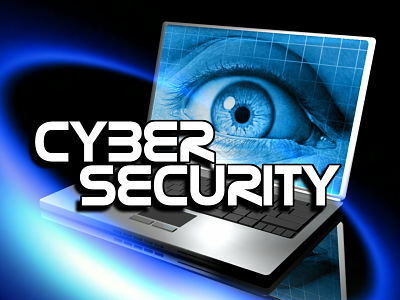 You may go to our website www.vrstech.com for the various security solutions we offer. Why does your business need Annual Maintenance Contract Services? Computers have become a basic necessity for every business and also the dependence on them is very large. In every day’s business operations, computers have a lot to do. For data management, accounts or communication, they are must- have tools. But with the advancement of technology, there is a need for a regular up gradation of the systems. Plus, even if the systems are advanced, there are ample chances for them to meet a technical challenge. Or there could be a repair or any other challenge faced by the computer. When it is solved in time, there can be problem free systems working well to benefit the business under operation. To counter the issues holding the systems back from operating well, they need to be checked constantly. For this, a regular service and maintenance can offer the best solution, keeping the systems in health. Annual maintenance contract services can sort out every issue concerning the computers. What are Annual Maintenance Contract Services? We at VRS Technologies are an Annual Maintenance Contract Company offering Annual Maintenance Contract Services to diverse areas. Our team of skilled technicians is at your command to sort out your issues and resolve your queries with round the clock support. We consider customer feedback with due diligence. To avail the VRS Technologies, call us at 971 551683152 or refer to our www.vrstechdxb.com. Businesses are getting more and more digitalized and so every organization is built with IT infrastructure to be on par with digital needs. Be it computers, printers or servers all fall under the category of IT infrastructure. But its maintenance can be burdening for the enterprise and a distraction from performing core business activities. Plus hiring technicians for each and every issue can be nagging. How to put an end to the hassle? An Annual Maintenance Contract will be helpful in relieving you of the difficulties of dealing with IT issues, occurring without intimation. Collaborating with an Annual Maintenance Contract company could be what you are looking for. VRS Technologies in Dubai, a trustworthy Annual Maintenance Contract Company, is here to assist you. What are the benefits of signing with an Annual Maintenance Contract Company? Many businesses assume signing with an Annual Maintenance Contract may be a waste of money with the payment made even when there is no need for any repair. Rather than believing in the wrong assumption, regulating the maintenance of IT infrastructure would be better so that you will not have to run into sudden IT issues interrupting business operations. Partnering with contract companies is a better option rather than depending upon individual services each and every time amounting to huge money by the end of the year. Contract companies offer budget friendly contracting options with innumerable services. Anyone would wish the devices lasted longer making their investment worthy. How can this be achieved? It is by opting for a routine maintenance schedule through Annual Maintenance Contract. The regular check up is performed as to how the devices are running. If any issue is detected, it could be resolved right away to prevent further damage. It is not possible for the enterprise to juggle between handling business and IT issues simultaneously as shifting focus from the main stream of business can hinder the business progress. If partnered with an annual maintenance contract company, both IT issues and maintenance will be taken care of. The contract company will regularly monitor your schedule and prioritize your concerns and contact you whenever the necessary action should be taken. Partnering with technicians who understand your business requirements aptly can prove to be an intelligent move. Annual Maintenance Contract companies are equipped beforehand with all the necessary knowledge essential for picking solutions designed for your specific needs. We at VRS Technologies in Dubai offer trusted and verified service packages as part of the Annual Maintenance Contract, as a result of which your IT environment improves better than ever. With our well-qualified technicians, we deliver skillful services to resolve even complex IT problems. To partner with VRS Technologies for the Annual Maintenance Contract, call us at +971 55 1683152or refer to our website www.vrstechdxb.com. Why is structured cabling system essential? Technology is ever changing faster and advanced. Businesses are also growing big and are necessitated by a huge number of computers and a very complex set of networks. Unlike the traditional point to point system, the structured cabling system connects all the devices in one network making it more efficient to share the information in no time. Why should the installation of structured cabling be proper? It is necessary for the structured cabling systems to be installed properly or the network fails to function the way it should. As a result, systems could slow down with poor performance which would in turn affect the services your company offers to the customers. If the structured cabling is installed well, it could ensure efficient infrastructure. A good structured cabling solutions cuts down the costs of network and enhances efficiency. The structured cabling solution makes sure the system runs without any problems, which would otherwise shut down the network. The cables also remain more durable and with more integrity. We at VRS Technologies have highly skilled and trained staff to design, implement and offer the structured cabling solution with a meticulous plan. We promise to provide the leading infrastructure and a wide range of support to our clients of various fields. We have a well-designed networking solution to meet your infrastructure needs. 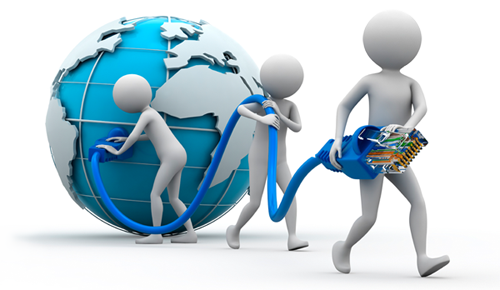 Having over a decade of expertise, we are proven professionals in handling the most complex networking projects of our clients. For the right structured cabling solution, call VRS Technologies at +971551683152 or go to our website www.vrstechdxb.com for more details. Computers go hand in hand with everyday tasks and any repair or malfunction in the system causes disruption in the work routine. It cannot, however, be avoided. To replace the parts under repair, you may have to shell out a lot of money and it may not be a wise option. Buying a new system would seem better than replacing the malfunctioning parts of the system. Also, every time there is an issue surrounding the PC, it might cost a good amount to get it fixed. Either of the ways to make your PC to get back in condition can be taking away your time as well as money. Then what do you think you should do? There is one good way of getting repairs done without any hassle. It is through annual maintenance contract where in your system’s repairs and maintenance is covered over the entire year with a yearly payment. All the troubles the PC might undergo will be taken care of by the Annual maintenance company in the contract. Are you looking for a good company which you can rely on? Then consider VRS Technologies to be the right destination. With us, you could prevent any malfunctions of your system and hence keep it constantly healthy too. We offer timely and apt IT services by checking the system regularly to avoid any problem that may arise in the future. Our services cater from small to big sectors in Dubai. Why VRS Technologies in Dubai matters for Annual maintenance contract? Once you put forward the requirement, it is our duty to ensure things are achieved. Our expert team contains well-skilled engineers who can understand what is to be done best for the recovery of the system. Our clients can expect flawless services that are tailor-made for their requirements. We at VRS Technologies have set a standard benchmark in the field of Annual Maintenance Contracts and can assure the most customer friendly services. Annual Maintenance Contract (AMC) is essentially to overcome the unexpected costs incurred when there is a malfunction. More than that, it is like developing the immunity of the products towards malfunctions by having a regular service and maintenance. Also, an AMC enhances the lifespan of the product as it maintains the products in working condition quite efficiently year after year. A manufacturer offers a warranty period only for a year or so, however, you can indulge in having the similar experience with the help of AMC services from VRS Technologies. We at VRS Technologies have been a leading provider of Annual Maintenance Contract for computers, network for years, with an effort to keep the systems free from malfunctions. Computers and peripherals have become such an important part of life that a few minutes of downtime can result in a huge loss in terms of productivity. It could be your client who is waiting for a report or an important file that is awaited by your superior; the scenarios might be many but with a sudden system breakdown, the end results can be catastrophic.